The Talmudic exegesis is constructed on special hermeneutic rules which have the logical meaning in fact. On the basis of this circumstance it is possible to speak about a special logical culture of the Talmud and to call the logic used there Judaic logic. The contemporary interest in Judaic logic is related to the possibility of creating new logical approaches in modern computer science. Currently, computer science has been dealing with logical systems formalizing multi-agent and interactive computing. Talmudic reasoning is just multi-agent and interactive, since it has been constructed by taking dissonant opinions and conflicting authorities into account. Due to the multi-agentness of Judaic reasoning we can find out an original approach in Judaic logic to pure pragmatics and praxeology. In the book the author considers logic of Jews from the standpoint of analytic philosophy and symbolical logic. He shows that philosophical and logical ideas of the Talmud are really actual and after interpretation they can be considered as popular logical introduction to the theory of pure pragmatics and massive-parallel reasoning. 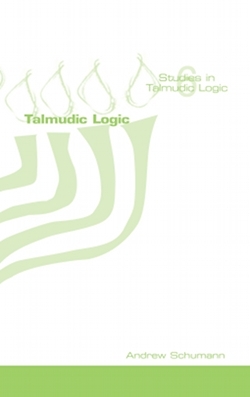 As a result, the author proposes a logical formalization of Judaic reasoning. Andrew Schumann (University of Information Technology and Management in Rzeszow, Poland) worked at the Belarusian State University, Minsk, Belarus. His research focuses on logic and philosophy of science with an emphasis on non-well-founded phenomena: self-references and circularity. He contributed mainly to research areas such as reasoning under uncertainty, probability reasoning, non-Archimedean mathematics, as well as their applications to cognitive science. theory, logical modeling of economics.